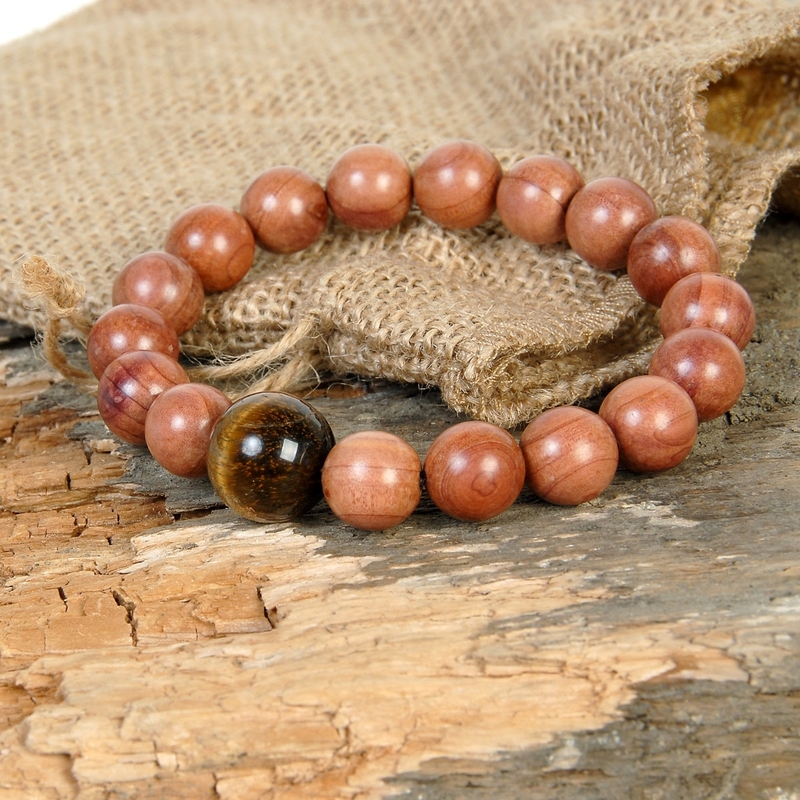 Walnut and Tiger Eye Bracelet. Earthy elements provide natural inspiration for our “Knock on Wood” bracelet. 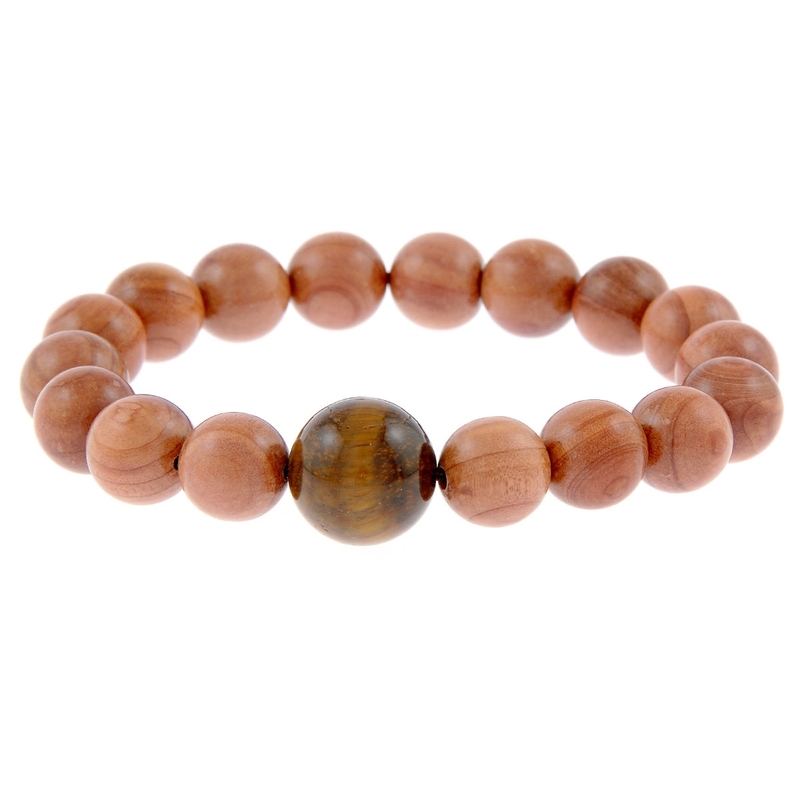 Combining the metaphysical properties of strength and happiness (tiger eye) with the realm of intelligence, wisdom and inspiration (walnut), you’ll not only look good but you’ll also feel great! Packaged in a burlap sack to protect and preserve its natural qualities. $2 from the sale of this bracelet has been donated to Prostate Cancer Research and awareness.